Hello, lovelies! 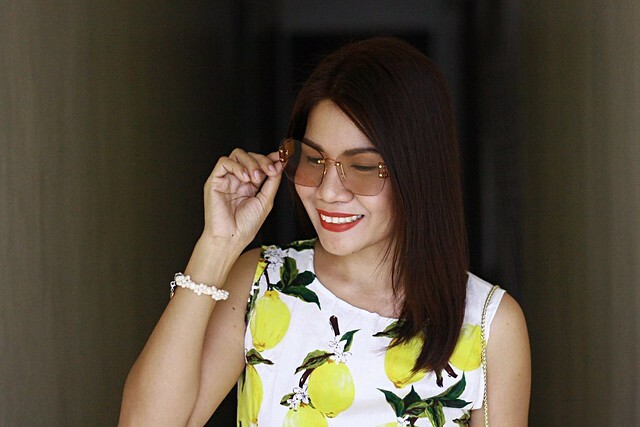 I have mentioned from my previous style posts that I'm a fan of nature and animal prints but I forgot to tell that I'm also a lover of fruit prints. When fruit prints got in the trend, I had the pineapple print shirts right away. Fruit prints give an instant refreshing vibe. Agree? 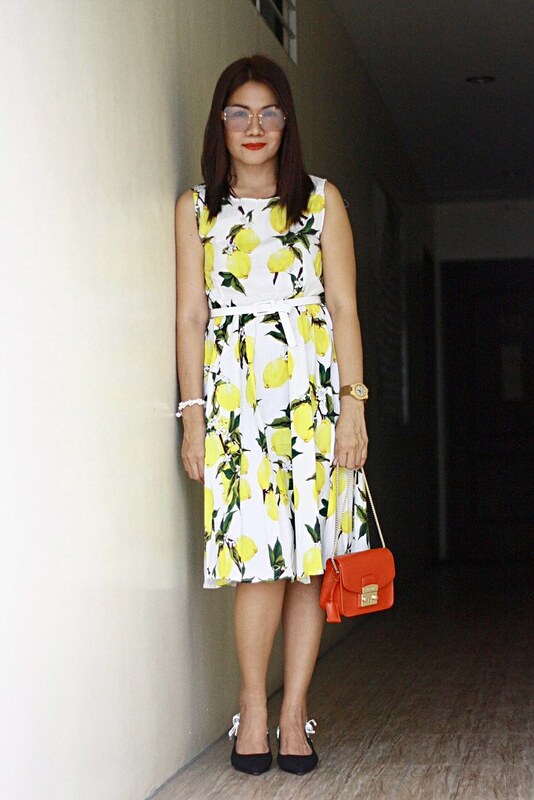 That's why this lemon print A-line dress has found a space in my closet. 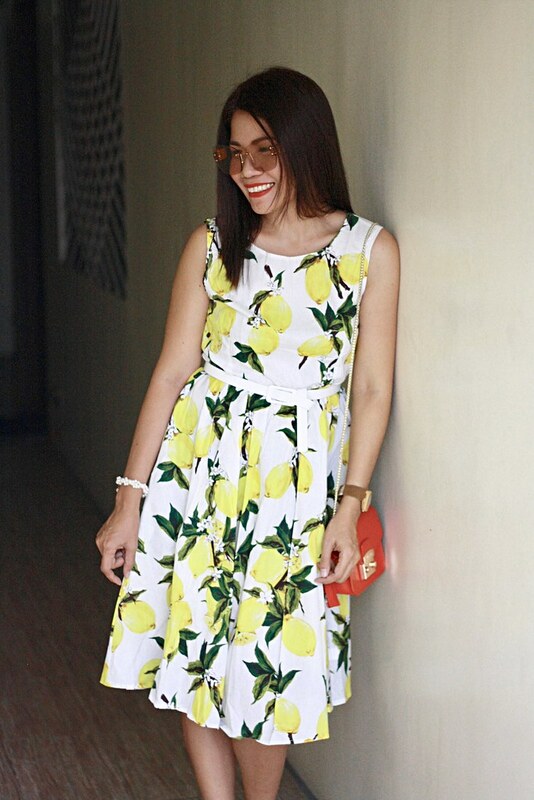 I ordered this dress from DRESSLILY. Just click the link below or click the photo above to see more photos and outfit details. 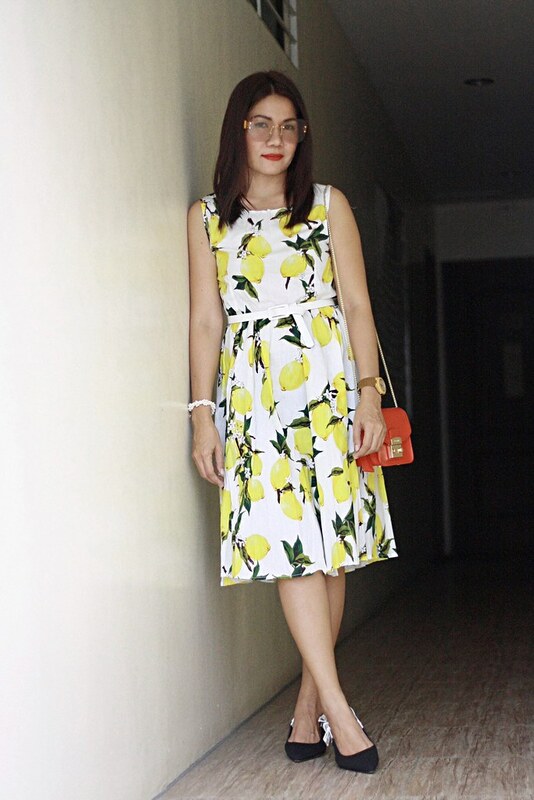 This sleeveless lemon print dress comes in three colors. It's too cute and lovely, isn't it? The size is true and it fits me just fine. The material isn't that great; it's a bit thinner than I expect but believe me that it isn't sheer either. I just wish it has an overall lining for a thicker feel of material but no, it doesn't have. It has a concealed zipper at the back and it comes with the white belt. Overall, you get your money's worth if you purchase this because of the cheap prize. Lately, I've been fond of wearing large lenses of sunglasses. 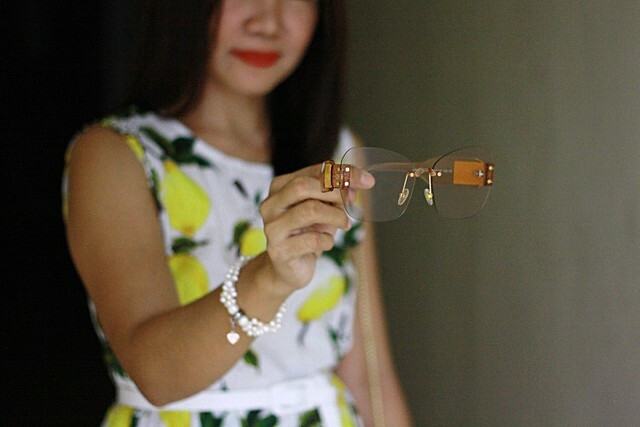 This butterfly-shaped oversized sunglasses caught my eye and I end up buying it. I don't regret my purchase because it looks so chic when worn. I love its frameless lenses, too! sad to hear the material isn't great, but it looks great on you! !